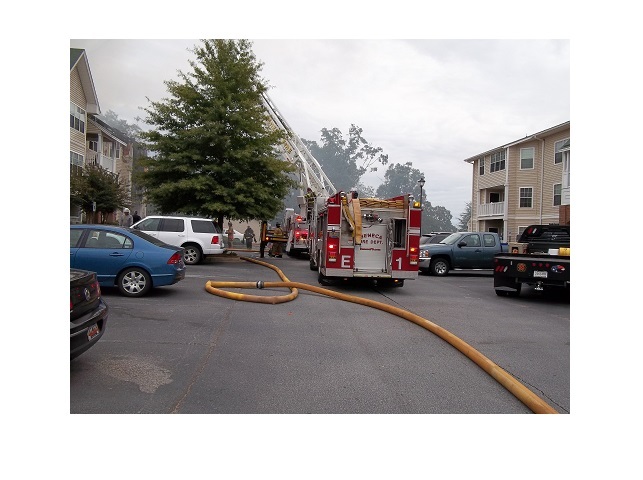 A Thursday afternoon fire at Crescent View Apartments in Seneca has displaced a number of tenants. Two apartments of the #300 building sustained fire damage, but an additional 6 apartments sustained water and smoke damage. As a result of the power being shut off in the building, the tenants of all 24 apartments will be displaced. The property manager is working to find alternate accommodations for those displaced due to the fire. The fire department has not determined the cause, but it is believed the fire originated on the balcony of one of the apartments and quickly spread to the roof of the building. No one was seriously injured in the incident.